As a passenger, member or volunteer of the Adirondack Scenic Railroad, you’re probably already familiar with our heritage railway, but that’s not all we do! The Adirondack Railway Preservation Society (ARPS), a nonprofit organization, operates the Adirondack Scenic Railroad, a former New York Central line located in upstate New York and the Adirondack region. Since 1992, we have built a successful tourist attraction, operating on track owned by the State of New York. In 1996, the State pledged to restore the track, allowing for rail operations between the mainline in Utica and the world-class destination of Lake Placid. The State has only partially restored the track which has, in turn, created a contentious rail vs. trail debate. Since our inception, ARPS has worked to preserve the state-owned Corridor. We cut brush, inspect track, maintain switches and control the beaver activity throughout the Corridor. We have helped to preserve the stations in Thendara and Saranac Lake as working pieces of railroad history. As part of our mission to create a multi-use recreational Corridor, we have worked with other businesses to provide our passengers with the opportunity to hike, bike and float through parts of the Adirondack Park that are seldom seen by the casual visitor. The Adirondack Railway Preservation Society is a volunteer-based organization. Together with our staff, volunteers have donated approximately 300,000 hours to protect our historic railway and enrich the Adirondack experience for tourists and residents of our region. They have helped this railroad to grow from a four-mile excursion in the Old Forge area to a business that carried over 74,000 passengers annually on hundreds of trains in Utica, Thendara, Saranac Lake and Lake Placid. Our total ridership has surpassed 1,500,000 people. All of our efforts to preserve our history and grow our future haven’t been enough to convince the State of New York to complete the restoration of the rails and develop a network of trails that would make this Corridor the envy of the tourism industry. Instead, they are proposing to remove the tracks north of Tupper Lake and replace them with a trail. This not only eliminates currently operational track, but would only allow us to bring families, senior citizens and people with physical challenges to Tupper Lake and tell them to walk the last 34 miles to visit the Olympic sites in Lake Placid. 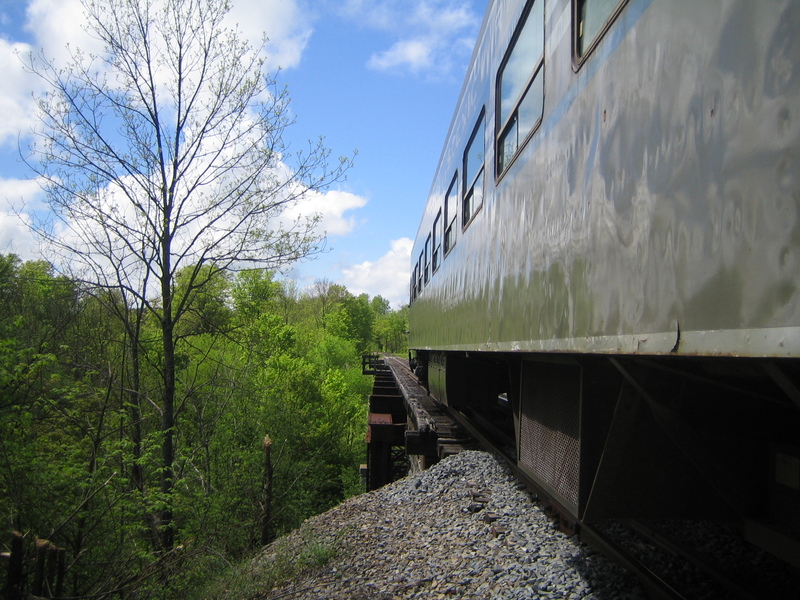 We need your help to continue the fight to restore the rail service for the entire Corridor. We have been able to support our operation with ticket sales and tax-deductible donations, but we can’t fund the inevitable legal challenge to this ill-conceived proposal without additional support. Please consider a contribution to our Corridor Protection Fund. We need to raise $100,000 to wage a credible legal defense and your donation will help us reach our goal. It isn’t an exaggeration to say the future of the railroad depends on our success and widespread support. Please send checks to: ARPS, 421 Broad Street, Suite 7, Utica, NY 13501 or donate online at AdirondackRR.com. Thank you, in advance, for your support and spreading our message. Please donate, any amount and every dollar helps!